Marijuana is far from harmless although parents may not hear this news in the media. Narconon International releases a complete package of information on the health threat posed by marijuana so parents can take action. Our goal is creating a world free from drug abuse. When we support parents in their efforts to educate their children on the dangers of drugs, we are able to save many more youth from these threats to their health and future happiness. As more cities and states consider laws to legalize medical marijuana or decriminalize recreational marijuana, parents may not know how to approach the subject at home. When marijuana was universally illegal, it may have been easier to instruct one's children to stay away from the drug. To help parents cope with these changing times, Narconon International has released a web feature and free downloadable booklet that covers the subject from end to end. Statistics say that whenever a group of six teens start using marijuana, one of them will wind up addicted to it. Average potency of marijuana has risen from less than 3% in 1986 to nearly 10% in 2009. Potency has been measured as high as 37% in marijuana grown hydroponically. Emergency room visits related to marijuana abuse have soared to nearly a half million per year, with only cocaine sending more people to a hospital Emergency Room. Among people aged 12 to 24, marijuana is the top drug sending them to the Emergency Room. "When you take a child's viewpoint, it is easy to see how medical and legal recreational use of marijuana can give him the idea that the drug is harmless," said Clark Carr, president of Narconon International. "Every time a child becomes addicted to this drug as a result of this wrong impression, it's a tragedy. The purpose of this new web feature and booklet is to help parents protect their children from the threat posed by this new, stronger drug." The new booklet, titled Fight Back against Marijuana Abuse, joins other educational material for parents that has been posted to the Narconon International website, including Fight Back against Synthetics Abuse and Fight Back against Heroin Abuse. The information newly released by Narconon not only includes a thorough look at the harm marijuana addiction can do, it also provides guidelines for parents on how to approach their children on the subject. Parents can also find information on how to determine if someone is addicted to marijuana and how to find rehab services if they are. "We will continue to release information like this to help parents keep their children free from the risk of drug abuse, addiction and overdose," said Carr. "Our goal is creating a world free from drug abuse. When we support parents in their efforts to educate their children on the dangers of drugs, we are able to save many more youth from these threats to their health and future happiness." 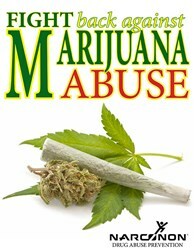 For a free download of the new booklet or to read the information on the website, visit:http://www.narconon.org/drug-abuse/marijuana. For more information on the Narconon program, call 1-800-775-8750.